This new companion volume to the author’s Puffers which we published in 2007 and have had to reprint many times since. 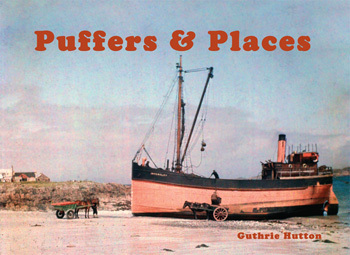 The subject matter is dear to the author’s heart as he is a canal enthusiast and of course puffers worked some of Scotland’s canals. While at the BBC he worked on the television series The Vital Spark. He also collects images of puffers assiduously and essentially told us he had found so many previously unseen pictures we had to do a new book. Nobody will be disappointed with the selection here which includes locations such as Crinan, Dunoon, Rothesay, Lochranza, Brodick, Ruchill, Kirkintilloch, Kirkcaldy, Portree, Bowling, Fort Augustus and more. All are accompanied by lengthy and detailed captions.